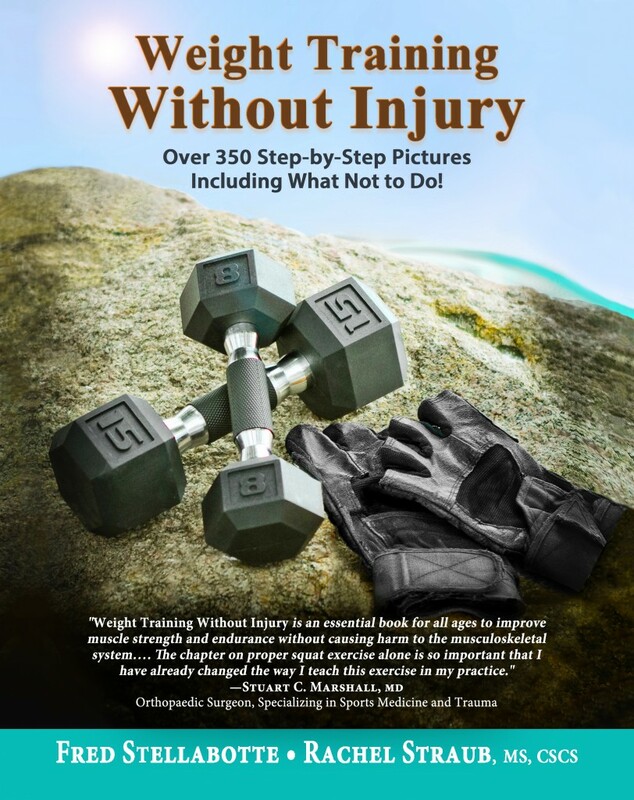 The following articles serve to supplement (and complement) the material found in Weight Training Without Injury: Over 350 Step-by-Step Pictures Including What Not to Do! We wish you optimal fitness through weight training without injury! How to Squat: A Step-by-Step Picture Guide Including What Not to Do! Ouch! Why Do I Have Knee, Low Back, Shoulder, and Neck Pain After Training with Weights? Part 1: Ouch! Why Do I Have Knee Pain After Training with Weights? Part 2: Ouch! Why Do I Have Shoulder Pain After Training with Weights? Part 3: Ouch! Why Do I Have Neck Pain After Training with Weights? Part 4: Ouch! Why Do I Have Low-Back Pain After Training with Weights? Weight Training Over 50: All You Need to Know! If You Are Chronically Ill, with Little Energy to Exercise, What Should You Do? Weight Training or Cardio Exercise—What Should I Do? Plus Q&A with Fred on Cardio Exercise—and More!